Missing court is never a “good thing”. A judge doesn’t request or suggest that you’re present. Judges INSIST that you show up for all your court appearances. Remember, this is an appointment with a judge. They don’t like it when you miss a court appearance. EVER! However, we understand that sometimes “stuff happens”. 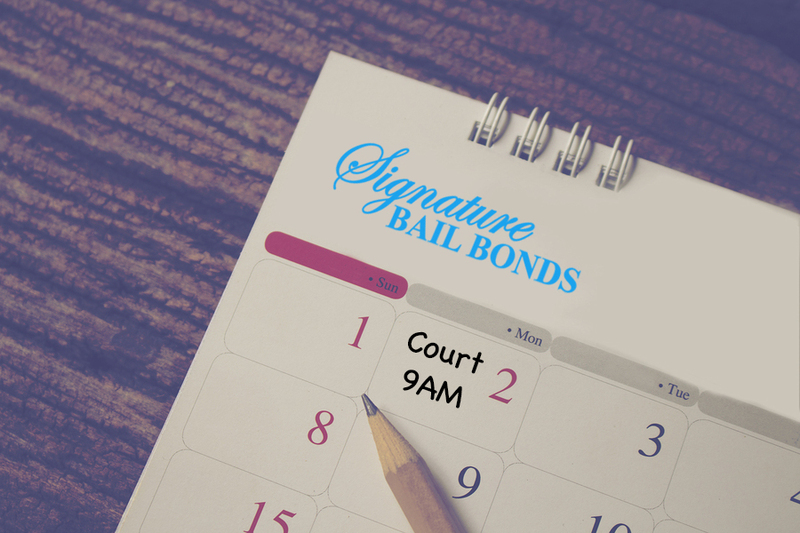 If you, a friend or a loved one has missed a court date due to something uncontrollable, CALL YOUR BONDSMAN IMMEDIATELY! Are There Good Reasons to Miss Court? Sure! Sometimes things happen that are beyond our control. While our primary concern is always NEVER MISSING COURT, we also want to treat our clients like family. So if any of the following keeps you from court, CALL YOUR BONDSMAN IMMEDIATELY! We put these things on the “good reasons to miss court list”. But remember, judges may not agree. Things like alarm clock problems or car trouble are used and abused by defendants every day. Don’t make excuses and never get creative with the truth (AKA lie to a judge). What about the REALLY BAD REASONS to miss court? Attorneys sometime say dumb things like, “Don’t worry about it. I’ll get it passed.” or “Judge won’t want to see you. It’s cool.” You’re attorney may be the best and most respected attorney ever…. BUT don’t EVER miss an appointment between YOU AND YOU’RE JUDGE!!! Never think “it’s all good” without double, triple or quadruple checking to make 100% certain that you’re case has been passed and has a future court date. Our general rule is this: If you have a court date, BE THERE! Also, remember to always check in with your bail bond company with any and all court updates. Good communication is the key! I’m Scared. Should I Go To Court? Um, yes! Scared will never go away by running. If you’re scared, ask questions. Stay positive. Do all you can to demonstrate responsibility and care. Judges like that. Dress sharp. Ask questions. Ask for mercy. When your actions are taking you down a scary path, ask for help or directions. Most attorneys truly care about their client. Our staff at Signature Bail Bonds also cares. We may not have degrees in criminal justice or the ability to offer legal advice, but we can always give encouraging life advice. If you run, things always get worse.